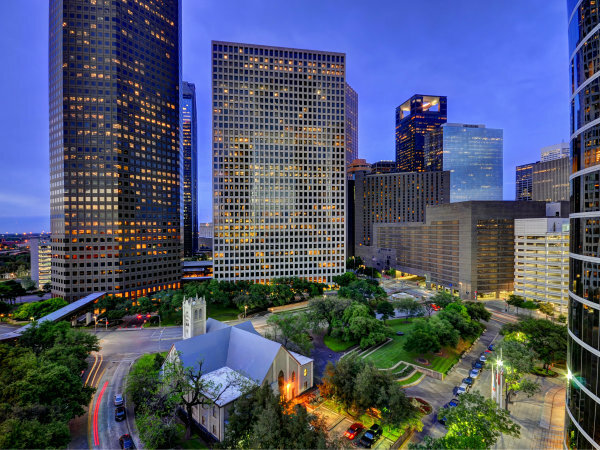 Whether you know it or not, we live in one of the Top 5 U.S. cities for the highest percentage of green commercial space in its Central Business District, which is considered to be downtown in Houston. While the city generally ranks quite high for commercial green spaces, Houston really stands out in terms of LEED certified buildings. According to the 2015 Green Building Adoption Index, the city ranks fourth in the nation for the percentage of square feet of LEED certified buildings with just over 32 percent of buildings, 268 total, certified. So, what does LEED certification mean? Leadership in Energy and Environmental Design (LEED) is a voluntary certification system created and managed by the U.S. Green Building Council for defining and measuring what makes a "green" building. To receive LEED certification, buildings must satisfy prerequisites and earn a certain number of points. Qualifications differ for each rating system depending on the type of project or building. Qualifying factors typically include location and transportation, sustainable sites, water efficiency, energy and atmosphere, materials and resources, indoor environmental quality and innovation. Additionally, there are four levels of LEED recognition — certified, silver, gold and platinum. With LEED certification at the top of the list for many developers, CultureMap has assembled a list of some of the most innovative and sustainable office buildings the city has to offer. 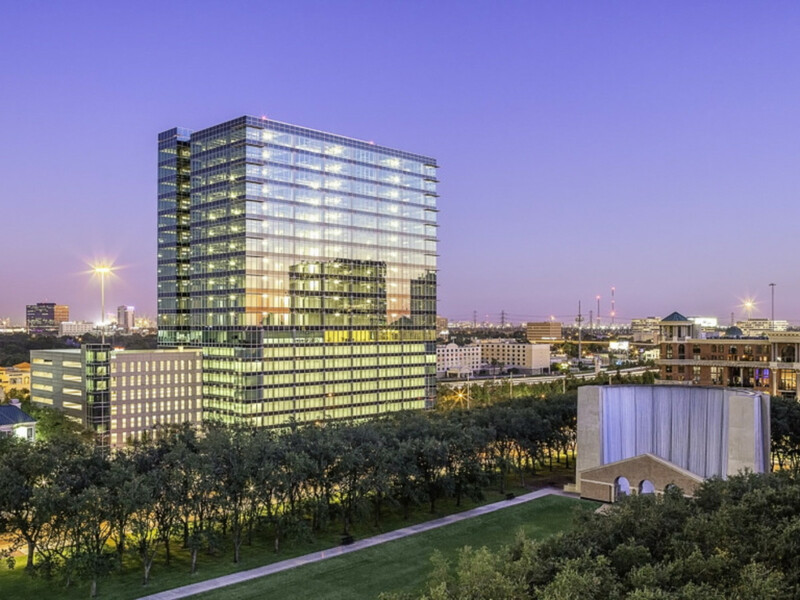 This 20-floor, 300,000-square-foot tower was the first new Class A office building to go up in the Galleria in 30 years. 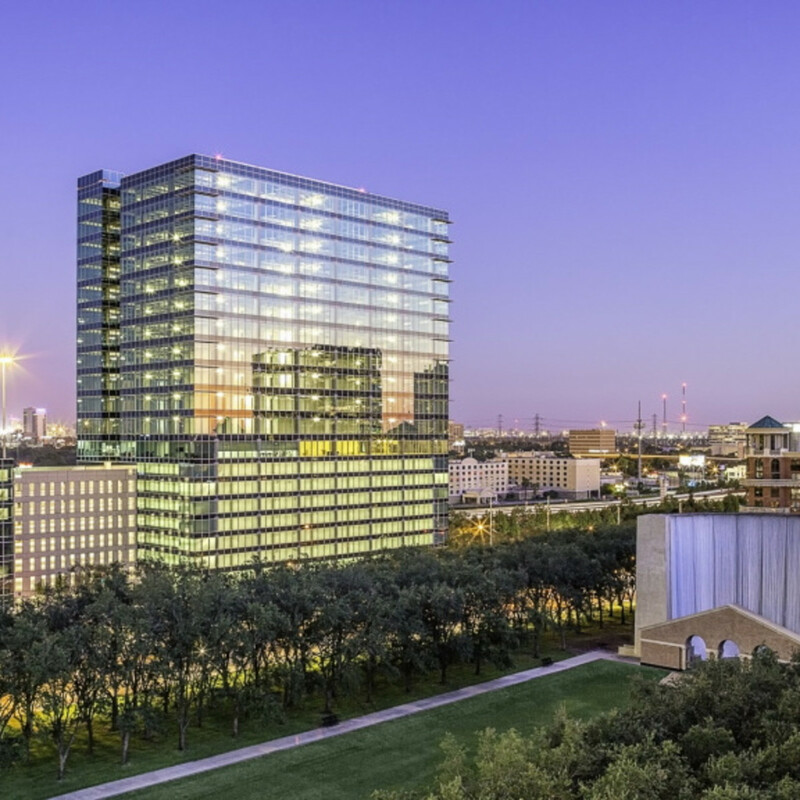 Completed in September 2013, the building — designed by Houston-based architecture firm Kirksey — was also the first completed commercial development project in Houston for Swedish developer Skanska, which then quickly sold the property to Post Oak Building LLC for $112 million. As the first LEED Platinum office building in the Galleria area, 3009 Post Oak includes a number of sustainable features including an irrigation system that uses water exclusively provided from collected rainwater, a 46 percent reduction in indoor water usage over a typical existing building and energy savings that are 26 percent better than code requirements. Additionally, 87 percent of construction waste was recycled and 38 percent of all materials used were local (both manufactured and harvested within 500 miles of Houston). Although the building — formerly known as Calpine Center — was completed in 2003, it was the first skyscraper in the state to attain the highest green building designation under the Existing Building rating system, which it acquired in 2011. The 33-story, 690,000-square-foot Class A office tower was designed by architecture firm Hellmuth, Obata + Kassabaum and jointly developed by property management company Prime Asset Management and international real estate firm Hines. Some of the green technologies incorporated into the building include electronically filtering outside air, floor-by-floor air quality monitoring and control, treatment of all on-floor tenant supply air with ultraviolet light and the use of recycled materials in finishes. 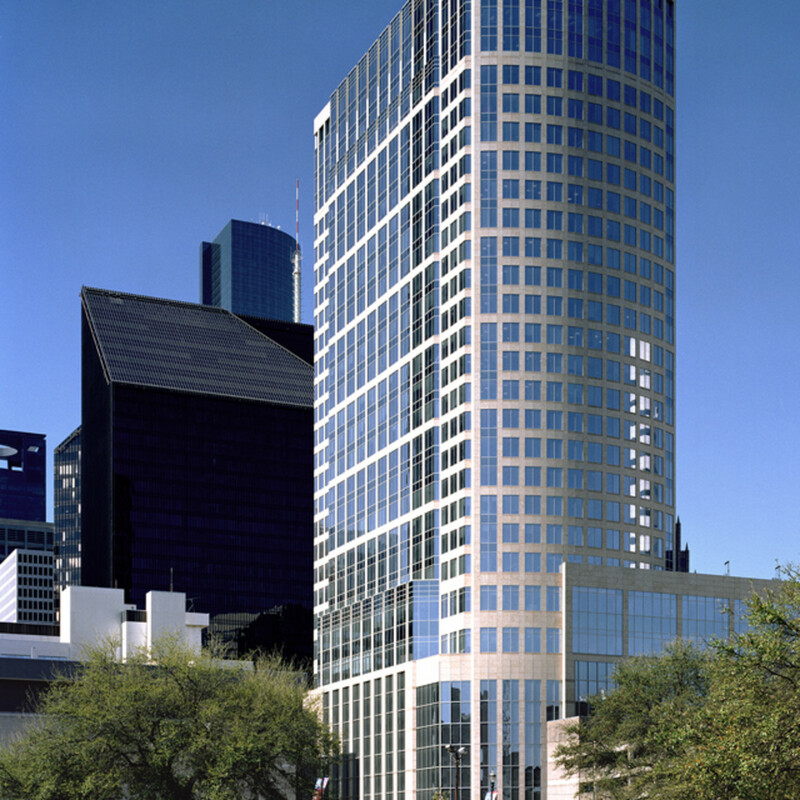 Located at 501 McKinney next to the 12-acre urban park Discovery Green, the 29-story, 870,000-square-foot Hess Tower was the first pre-certified LEED Gold building to be constructed in downtown Houston. Designed by architecture firm Gensler for real estate developer Trammel Crow Company, the Class A office building earned Platinum status on completion. 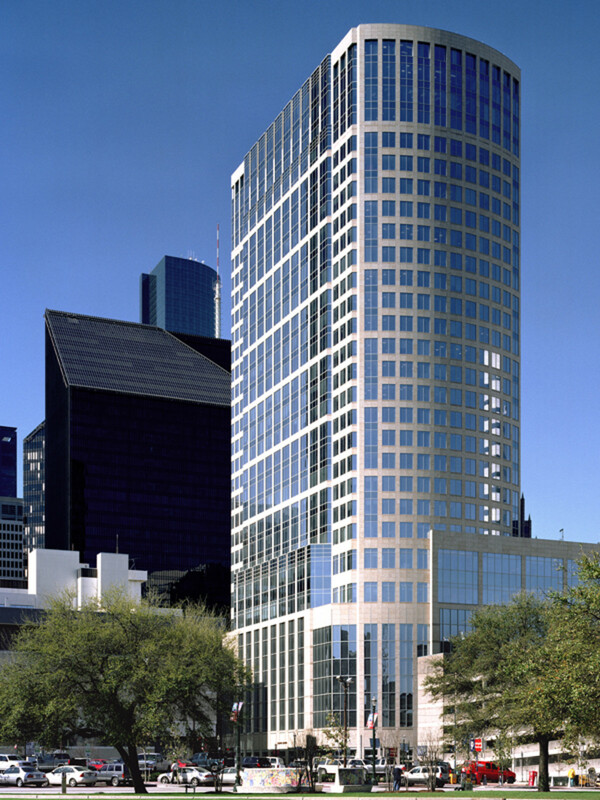 It was sold just months after completion in 2011 to Toronto-based H&R REIT for a record-breaking $442.5 million, which — at the time — broke records for both the highest dollar amount and highest price per-square-foot paid for an office building in Houston. Hess Tower is 20 percent more energy efficient than a typical office building and includes sustainable features such as an efficient energy recovery unit, high-efficiency centrifugal chillers for cooling, low-flow fixtures and a 40 percent more efficient plumbing system, reuse of air conditioning condensation for landscaping irrigation, a "green" roof on the entry pavilion and an energy efficient roof and insulation. With 46 floors and nearly 1 million square feet of office space, BG Group Place at 811 Main Street — completed in 2011 — was one of the first three buildings in the world to be certified LEED Platinum in the Core and Shell category in which the developer controls the design and construction of the entire mechanical, electrical, plumbing, and fire protection system — called the core and shell — but not the design and construction of individual tenant build-outs. 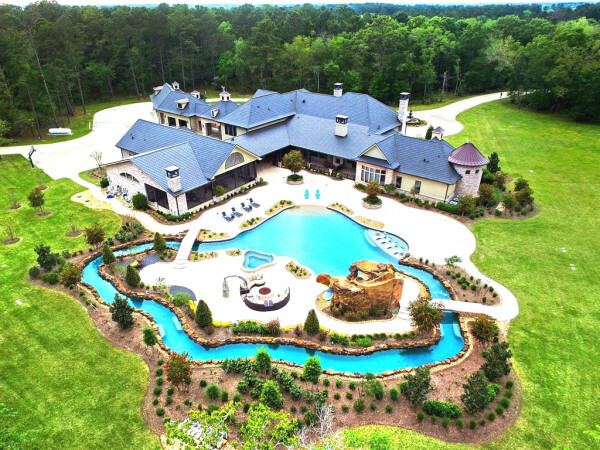 In 2013, the property sold to Atlanta-based Invesco for a whopping $480 million, giving BG Group Place, at the time, the highest full-service rent per square foot downtown at $54.50, according to the Houston Business Journal. Connecticut-based architecture firm Pickard Chilton designed the Class A office building for Hines. Sustainable features and programs include a fully vegetated green roof, highly efficient heating and ventilation systems, façade sunshades that result in up to 40 percent of the building exterior being protected from solar heat gain without losing daylight and an air-conditioning condensation recovery system, as well as easy access to various modes of regional transportation systems including the MetroRail. 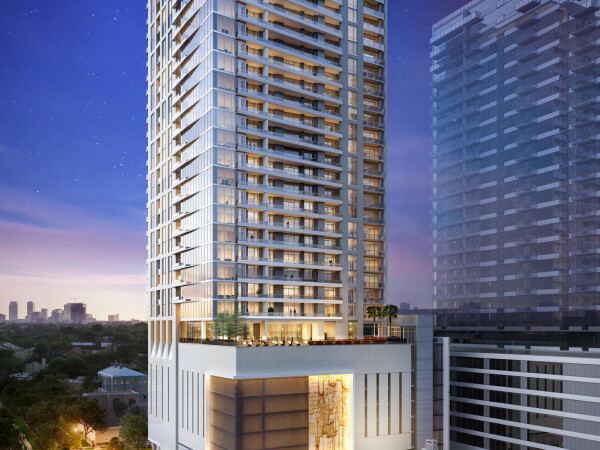 Located at 811 Rusk — the location of the former Houston Club Building that was imploded last October — Capitol Tower is the first Houston development to be awarded LEED v4 Platinum pre-certification from the U.S. Green Building Council. LEED v4 is the latest version of the council's green building program and will replace current LEED 2009 standards beginning in November 2016. A building's pre-certification allows the owner to market the proposed green features to potential tenants looking to occupy LEED-certified space. The 33-story, 750,000-square-foot Class A office tower — designed by Gensler for Skanska — is set to include a number of innovative sustainable features such as daylight harvesting technology, tenant metering, alternative vehicle charging stations and a rainwater harvesting system. Located in central downtown, the 47-story, 1.1-million-square-foot office tower, designed by Pickard Chilton, is being developed by Hines. The Class A tower is pre-registered LEED and is expected to attain Gold or Platinum certification when finished. The building, expected to be completed by March 2017, includes sustainable features such as a rainwater harvesting system, a constant air purification system, increased fresh air circulation mix, harmonic mitigating transformers and energy-efficient lighting.